»Religion»How Can You Know God and Truth? 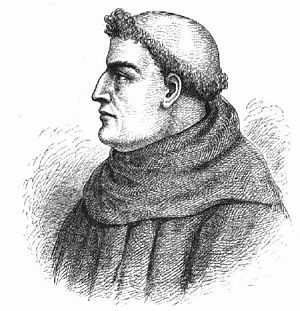 Roger Bacon (c.1214–1294) is sometimes credited with the modern establishment of the scientific method, following Aristotle. Furthermore, we have demonstrated that atheist objections to the existence of God often rest upon assumptions about the nature of God illegitimately acquired from a Judeo-Christian worldview. The idea of justice and fairness, for example, assumes too much, if one starts with the assumption that the creation is evolutionary and accidental. This God could be just as uncaring and uninvolved in human affairs as we are in the life of ants. Therefore, the question of God’s goodness does not have anything to do with the question of whether God exists or not. God could exist and not be good, as we define goodness. Now, however, we come to a fulcrum; a question. If God exists, how can we or could we know him for sure? Since we cannot know him by examining matter, because he is not material; and since we cannot know him by theory, or testing, or by any human endeavor of scientific enterprise, how could we know that what we know he is indeed real? The problem, my friends, is that you are asking the wrong question. You are assuming you can discover what is hidden, what is supernatural, what is not available to human senses through the discovery process, but that is backwards. It isn’t what you discover, but how you are discovered. Let us start with an assumption: This God is fully self-conscious, self-aware, the Creator of all things seen and known, and unseen and unknown to us. This God started the universe and all the things within it. Yet because he dwells outside our experienced dimensions of time and space, he must, in order to communicate with us, penetrate time and space and reveal himself to us in some way. Surely, if he is the creator of all, he must be able to disclose himself to us if he so chooses to do so? A mute God is no god, if he cannot make himself known. Yet this God does not disclose himself by natural means, normally, although he is able to do so if he so chooses. This God is able to communicate directly with our minds and our souls by his Spirit, supernaturally. We call this communication “revelation.” It is not susceptible to human investigation because it takes place immediately between the soul and God: direct speech as it were between a human being in relationship with a divine being. Just as intimately as a husband and wife making love, so too the intimacy of the soul with God is beyond description and explanation. Yet the reality of it is so real that it is more real than anything the senses can provide. Just as we know we exist, and cannot question it, so too, we who have been touched by God know that He is and can no more doubt his reality than we can doubt our own existence. What I am saying is the only way to know the truth is to know by encounter the Truth Giver – to know the One who is Truth itself. This God who is self consistent and self-aware has the capacity to reveal himself to human beings. He reveals himself as He sees himself so that we can know him in truth. It is the only way to know the truth of the universe: it is the only way to now the reason for existence which is Love: to love and be loved. Love is the reason for the Creation. And no once can know Love until one is known by God, who is Love. This is our testimony: over the ages, God has revealed himself to mankind, and the Bible is the written record of those encounters between humanity and God. Whether that be revelation of words, or signs and wonders and miraculous deeds, or the sweet counsel of meditation and understanding, or the songs and psalms of love and adoration – these are the records of that human and divine marriage. Finally, what God has done, since Love cannot be revealed by a formula, or explained by philosophy, or reasoned with by logic, God came himself in human flesh to show what love looks like and acts like. There is “no greater love than this, that a man lay down his life for his friends.” God came among us, and walked in human flesh, to show what perfect love looks like. He came as Jesus, but politicians, the greedy, and those with selfish interests put him to death. Yet he loved us so much, he died for us. He died so that he could impart that love to us by his Spirit when he rose from the dead and breathed on us new life. If you want to know the truth and to know God, there is only one way: to experience Jesus personally and for yourself through the revelation of God’s own nature to your soul. Ask for it and you will receive, because he longs to have fellowship with you, but is only waiting on your permission to accept his invitation. No, you can’t believe in God unless God reveals himself to you. but in the last paragraph you seem to be suggesting that god needs to be invited. I cannot invite that which I do not believe in into my life, just as you would find it difficult to invite Vishnu or Krishna into yours. My point is that one has to be persuaded into a position of at least contemplating belief in god before one can believe, this is not possible for most people worldwide who did not have a Christian upbringing. I did but still find the idea of god so incredible as to be utterly unbelievable. I never made a conscious decision not to believe, I am just unable. All things have been delivered to me by my Father; and no one knows the Son except the Father, and no one knows the Father except the Son and any one to whom the Son chooses to reveal him…This is why I told you that no one can come to me unless it is granted him by the Father. Belief without content is contradictory. A≠B=A. “then know this, you and all the people of Israel: It is by the name of Jesus Christ of Nazareth, whom you crucified but whom God raised from the dead, that this man stands before you healed. He is “‘the stone you builders rejected, which has become the capstone.’ Salvation is found in no-one else, for there is no other name under heaven given to men by which we must be saved.”” Acts 4:10-12, NIV.